The famous lakes and palaces of Udaipur is the reason why it is called the most romantic city in India. If you want to experience the regal beauty of the city and relive the royalty, then hiring the one way taxi service of Tixilo cab rentals from Jodhpur to Udaipur is one of the best options, because of two reasons. These include, provision of a comfortable as well as a hassle free ride, and comparatively lower charges than other taxi rental services. Why a Tixilo hot one way from Jodhpur to Udaipur? 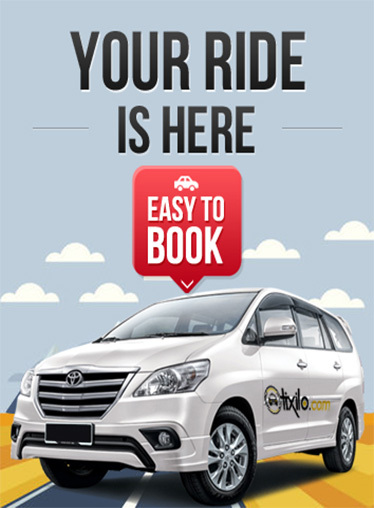 You must book a Tixilo cab online for an easy, safe, convenient one way ride from Jodhpur to Udaipur at pocket friendly prices. We, at Tixilo ensure of providing clean and well maintained one way cabs for a ride to remember. The 255km distance between the two places is covered in four hours approx. We offer a one-time pick up from anywhere in Jodhpur and one time drop to Udaipur at affordable rates. We make sure that you reach your destination in a hassle free and comfortable manner. Our trained and skilled drivers are well familiar with every route from Jodhpur to Udaipur and they choose the most convenient of all so that your journey is safe and free of obstructions. We provide quality one way taxi service relaxing and safe from Jodhpur to Udaipur. Here is a list of advantages that are offered to our consumers. · Choose a cab from a range of SUVs and Sedans. · Hire a luxurious car at affordable rates.